Susanne Øglænd’s version of Don Carlos premiered simultaneously with the version that opened the Norwegian National Opera and Ballet. 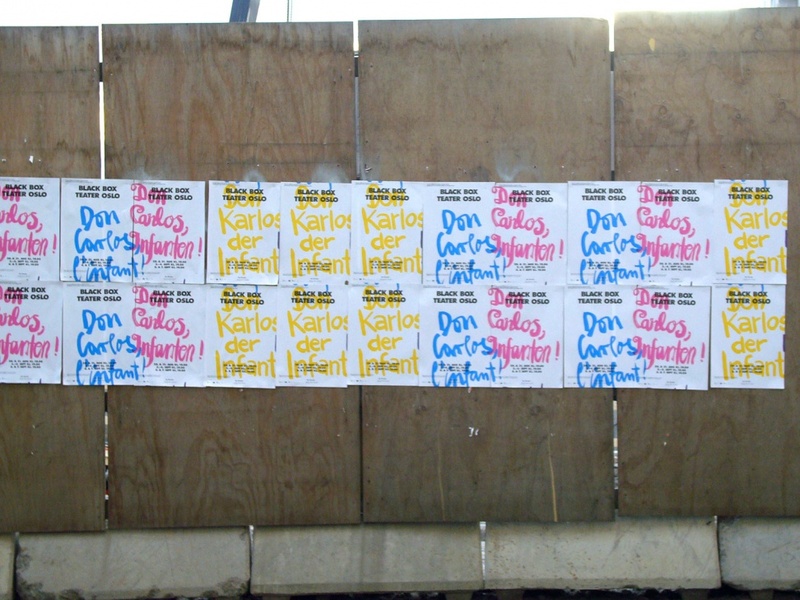 Øglænd wanted publicity that evoked political posters. 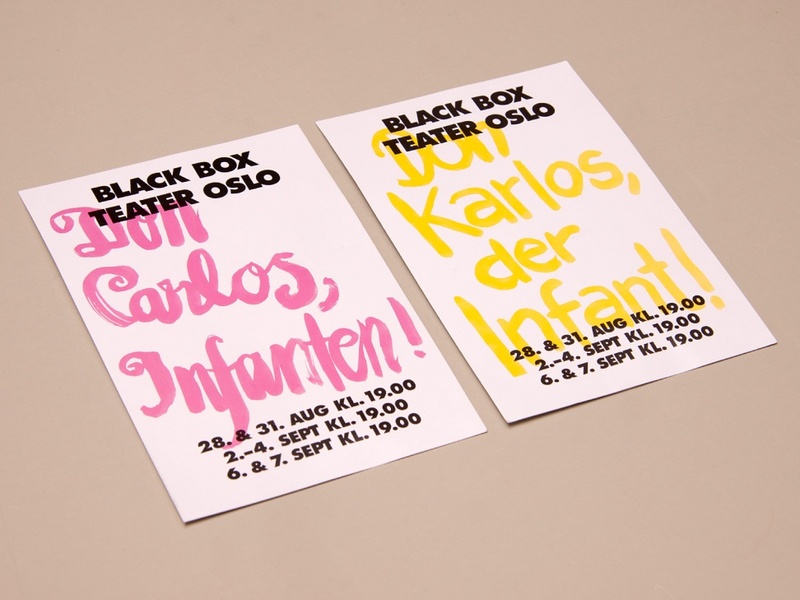 The piece’s main characters speak German, French, Norwegian and Italian respectively and thus we made four different versions of the posters displaying the title translated in each of those four languages. These different versions were all printed on one sheet. Some posters were used full size whereas others were cut into four - one for each language.